Traditionally they were embroidered by the unabashed women of Minho as a declaration of their love to a desired fiancé, part of the charm is the colloquial language on the handkerchiefs—misspellings and all. It’s visceral, it’s human. And it’s precisely what you’ll find inside Bolhão Market, a vibrant patchwork of the spirited people of Porto, stitched by their compelling life and food stories. But unlike the venerated embroidery of the north, the people of Bolhão have spent decades unprotected and unappreciated. 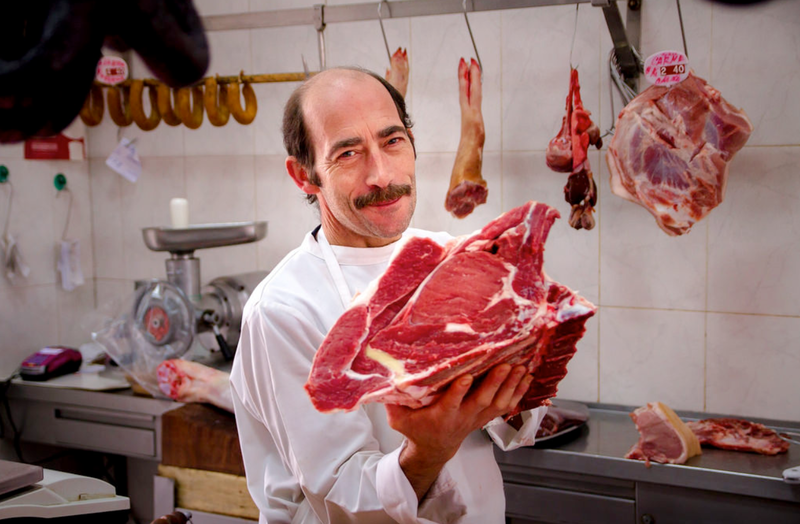 Since the 19th century, the market has been the culinary hub of Northern Portugal, where farmers, fishermen, and artisan food producers have gathered to sell their products and swap stories under a canopy of open skies and swirling seagulls. 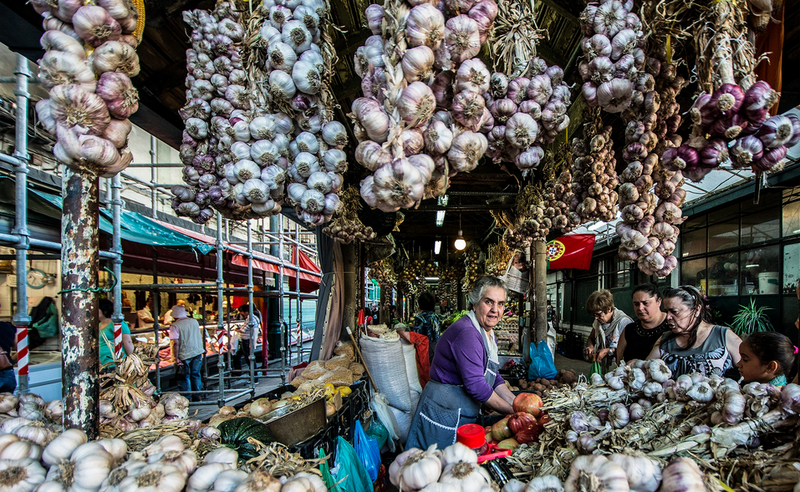 Due to the rise of chains and supermarkets, the number of vendors has slowly dwindled, and the market’s walls have crumbled into disrepair—yet it still pulses with a profound gastronomical heritage guarded by octogenarian grandmothers. Locals and tourists with a renewed interest in artisan products and organic produce have started to visit Bolhão in greater numbers, but its fate remains in question. Following decades of neglect from local government, the vendors have been moved to a temporary location while the market remains closed for renovations until approximately 2020. Unfortunately, there is no guarantee that its hallmark grandmothers can afford to return to the new market, or that a piece of Bolhão’s Old-World charm will not be lost. Bolhão is more than market, it’s an identity. It’s a cultural reference and a strong brand that connects the city to the near and faraway places that supply it. Places like Avintes, where a husband and wife duo wake up at the crack of dawn every morning to craft their broa de Avintes (cornmeal and rye bread), the very same way their family had been making it for decades. Or Gondomar, where meaty turnips are harvested to craft a rich seasonal soup (Caldo de Nabos), a warm comfort food to accompany crisp autumn nights. If you’re visiting Porto, swing by the temporary market and say hello. These passionate people are more than happy to share their stories and culinary tips to enhance your stay. And if you’re craving to do go deeper, check out our new book: Porto: Stories from Portugal’s Historic Bolhão Market, where we evoke life at the market before it shut its doors.